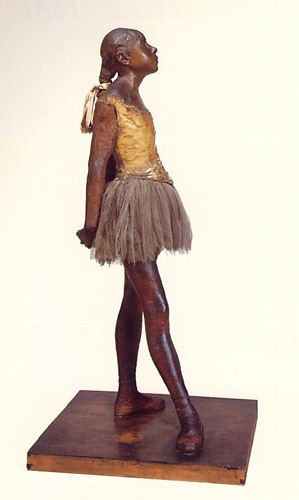 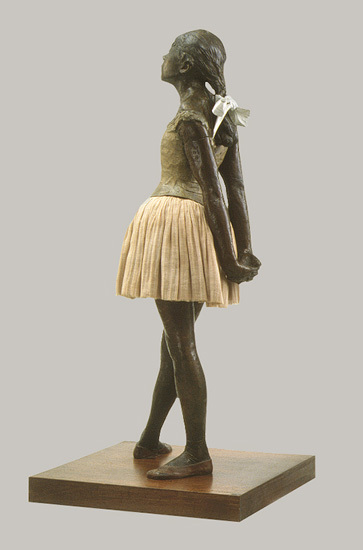 Like all of Degas’s bronzes, Little Dancer Aged Fourteen was cast only after the artist's death. 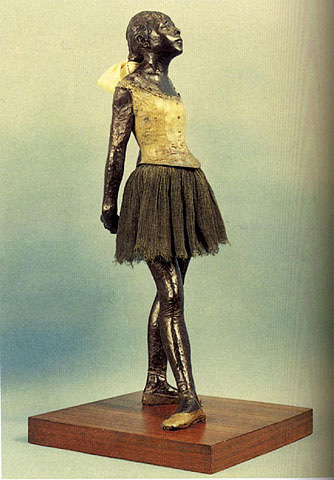 The original figure, shown at the Impressionist exhibition of 1881, was modeled in wax, to which Degas added a hair wig and fabric tutu. 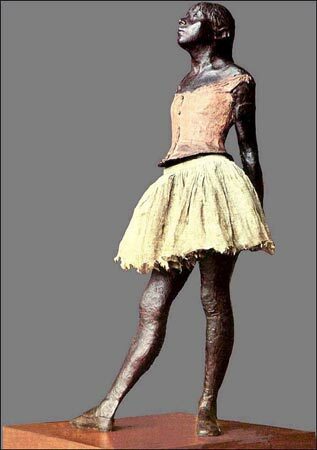 Reaction to the work was mixed, with many critics finding the mundane subject matter and strange combination of materials unsuitable for a work of high art.